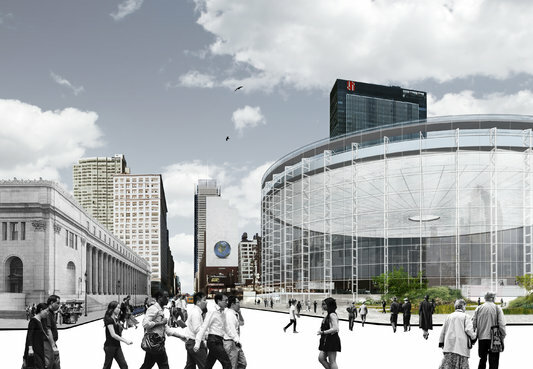 One possible more palatable compromise is to deconstruct that abhorrent building to the east of MSG (the water tank portion of the complex's toilet bowl look) and build the station over that and keeping the arena. Great. I can't wait to see the inevitable "[de]valued the engineered" final version :-l.
Its already mundane, now they will go for hideous but functional. Last edited by TREPYE; September 29th, 2016 at 08:26 AM. So let me get this straight. Let's take the Dolans out of the picture for a moment. 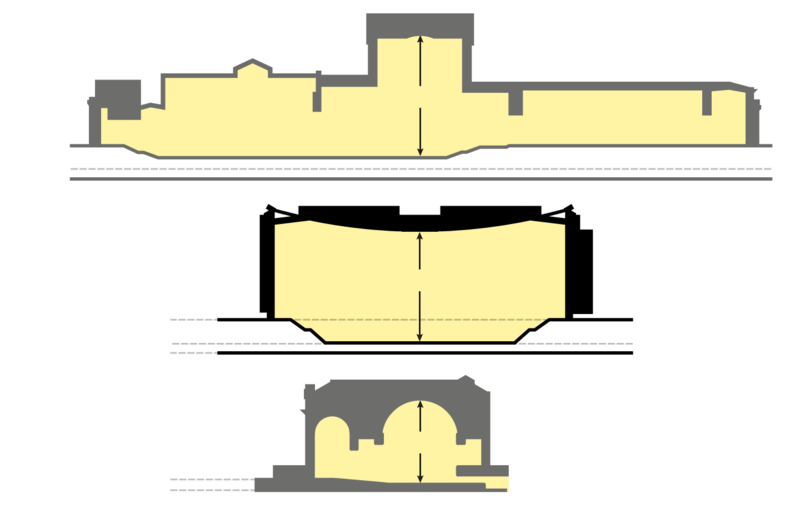 It's easy for someone to landmark a building like Grand Central Terminal and bring it into the 21st century and maintain it's architectural heritage and tourist attractiveness, but it's impossible to rebuild the original Penn Station? While I do recognize the valuable air rights in the area, is it that hard to rebuild a landmark? I look at the Corn Exchange Building and think, while not exactly the same, it's ambitious. Not sure I agree. A restoration is one thing, even of a burnt-out stump. However, razing extant structures in order to build a replica of a previously razed structure? Seems like nostalgia run amok. It's literally retrograde. 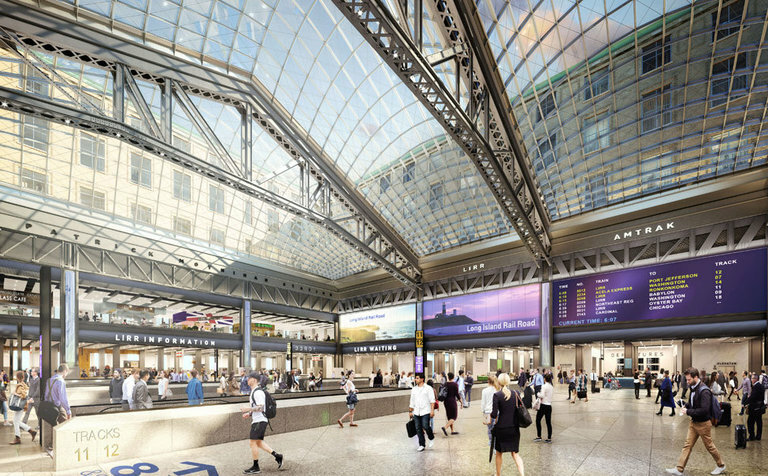 What the proposal to gut the Garden appeals to in me is that (while it hearkens back to historic Penn Station in more than one way) it's really a cost-conscious way to solve a modern problem. It's forward-looking. 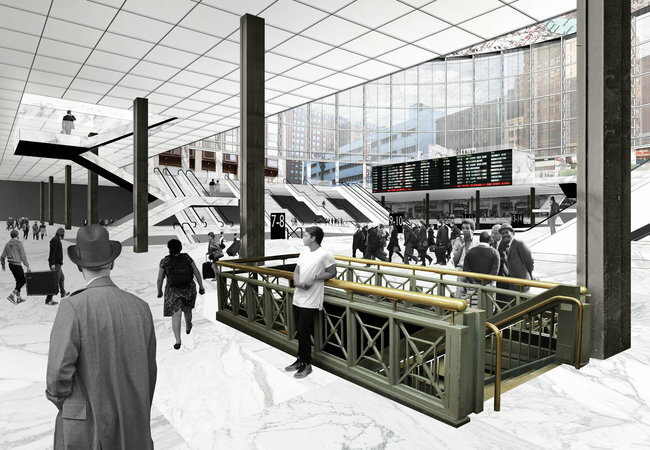 Put another way, if the whole block was vacant and empty, is Penn Station what you would build on it in 2016? No. You'd probably look at a mixed development with an emphasis on retail and intermodal links. It's all a waste of time and money if they don't remove the cancer. MSG needs to be relocated, or it's more of the same crap. MSG squats right on top of the station. The Dolans are the problem here. 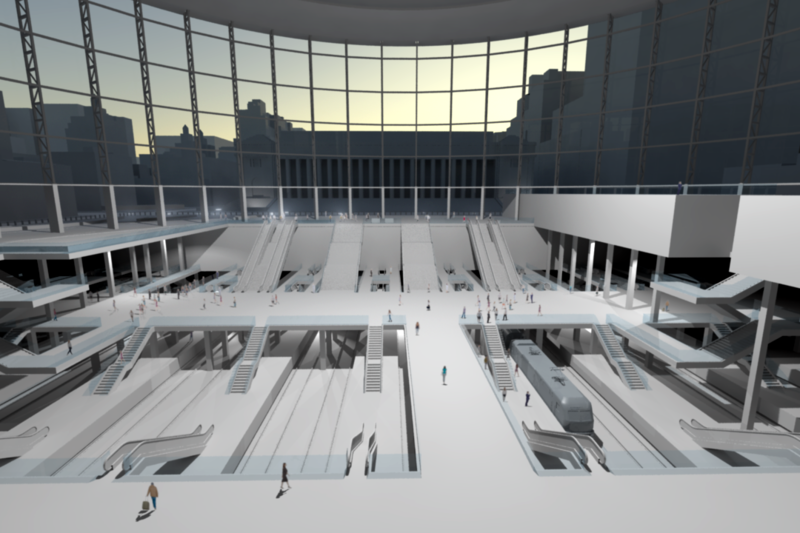 It's easy for someone to landmark a building like Grand Central Terminal and bring it into the 21st century and maintain it's architectural heritage and tourist attractiveness, but it's impossible to rebuild the original Penn Station?